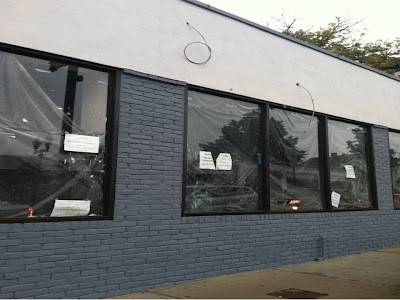 First it was Olde Magoun's Saloon, then Daddy Jones Bar, now it seems that the old Cara Donna location is getting a facelift as a new paint job was recently completed in the historic Magoun Square location. Growing up, I would be sent up to the Cara Donna Bakery to pick up everything from cookies for my grandparents to Conor's birthday cake in July (Conor picked up mine in August...the advantage of having 2 kids). Rumors swirled earlier this year that the owner was looking to put a McKinnon's-type market in the location and significant interior work solidified it this past spring and summer. The work is now extended to the outside with a stunning new paint job. No official opening date has been publicized. OK, but what is going in?? The suspense is killing me. I used to get sent to Lyndell's as a kid myself.